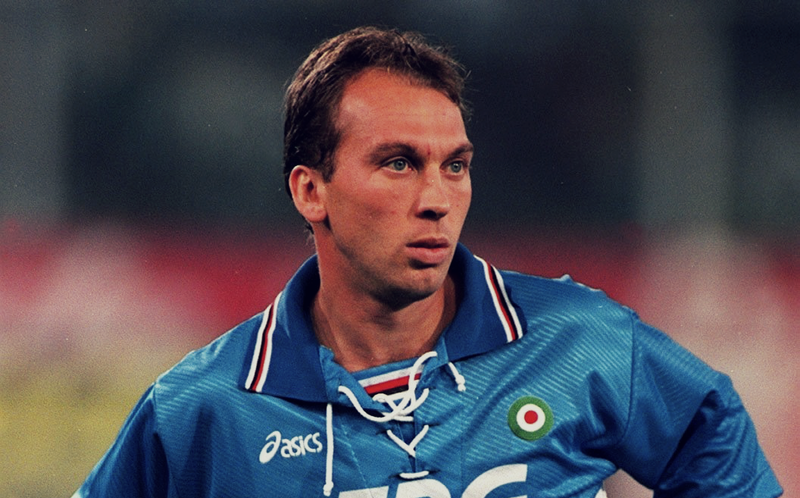 Among the many changes brought along by the advent of the Premier League, the gradual increase of Italian players and managers in England has been among the most evident. From Gianfranco Zola, Gianluca Vialli and Roberto Di Matteo paving the way at Chelsea, to Fabrizio Ravanelli and Paolo Di Canio, the Premier League has been treated to some of calcio’s most successful – and at times misunderstood – figures of the last two decades. While Italian imports have been conspicuous, English – and British and Irish as a whole – footballers on the peninsula are as rare as restaurants in Rome serving Yorkshire puddings with their bucatini amatriciana. It is a remarkable shift in dynamic from the second half of the 1950s, when Italian clubs welcomed British footballers more or less regularly. However, while the likes of John Charles, Ray Wilkins, Liam Brady and David Platt made a name for themselves in Italy, some weren’t as lucky. In particular, a trio of British imports who arrived in Italy in 1961 had a torrid time. Jimmy Greaves’ fleeting spell with AC Milan lasted 12 games, before he was unceremoniously put on a plane back to England, where his career flourished again as he became a Tottenham legend. If Greaves didn’t enjoy his time in Milan, two of his colleagues, who had landed 90 miles to the west, had an even more miserable stay in Italy, one which almost ended in tragedy. 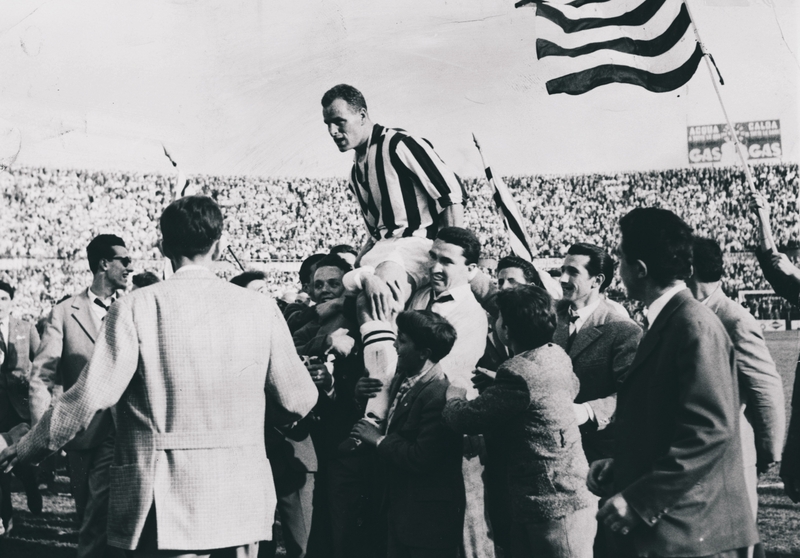 By the time Joe Baker and Denis Law arrived in Turin in 1961, John Charles was beginning the last of his five years under the Mole Antonelliana. However, while Italy’s first capital had proved to be a home away from home for the Welshman, Baker and Law never settled on the banks of the River Po. 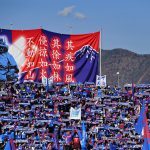 Italian football was years ahead of its English counterpart in terms of attention reserved to footballers’ lives and the former was completely unprepared for it. By the time he signed for Torino, Baker had built a name for himself. In four seasons with Hibernian, the Liverpudlian had scored 102 league goals in 117 appearances, including all four goals in Hibs’ 4-3 win in the quarter-final of the Scottish Cup in 1958. That he achieved the remarkable feat against the Hibees’ bitter rivals Hearts only cemented his place in Hibs’ folklore, despite the fact he was just 17 years old at the time. In the same campaign, his first at senior level for the club, he was also Hibs’ top scorer. The season ultimately ended in disappointment as they lost 1-0 to Clyde in the cup final, while Hearts clinched a first title since 1897. Three years on from his heroics against Hearts, Baker was determined to reap the financial rewards of his work. However, when his demand for a £5-a-week pay rise was swiftly knocked back, he began exploring his options, particularly as a number of Italian clubs had shown interest. Financial disparity isn’t a modern day phenomenon in football and Serie A offered Baker the appealing prospect of a much bigger salary than the one Hibs were prepared to offer – the £5 pay rise he demanded amounted to almost half of his salary. Despite interest from Fiorentina, Torino won the race and signed Baker for £75,000. Later in his career, Baker would confide to Brian Glanville that he would have been better off with La Viola. Instead he chose Turin’s Baroque surroundings over Florence’s Renaissance, largely because he heard that Law was also in talks to sign with i Granata and he felt he would be more comfortable in a foreign land alongside a fellow Scot. Baker’s feelings towards Scotland were of utmost importance to him. Born on Merseyside to a Scottish mother and an English father, he came to the world on 17 August 1940, shortly after the Luftwaffe had launched an intensive bombing campaign over England. As an infant, Baker spent a grand total of five weeks in England before his father, George, decided to move the family north of the border, to Motherwell. The Bakers weren’t strangers to moving around. Just before the outbreak of World War Two, the family had been living in New York and Baker’s elder brother, Jerry, was born in the Big Apple in 1938. Joe, however, never lived across the Atlantic. He grew up in North Lanarkshire and became a Scot in everything but his birthplace, going on to play for Scotland at schoolboy level. In fact, he had very little interest in representing England at all. However, FA rules at the time meant footballers had to represent the country of their birth and Baker was capped by the Three Lions at under-23 and at senior level. “Any Englishman, no matter where he is playing, will always be considered for the England team,” England manager Walter Winterbottom said in 1959. He gave Baker his full England debut in November of the same year when he came on to replace Brian Clough at Wembley against Northern Ireland. In typical fashion, Baker marked his debut with a goal, just a week on after opening his account with the England under 23-side against France. Goals were just the currencies Baker dealt in. Amazingly, his full England debut almost never came to pass. Having flown down to London from Scotland to meet up with the team, he reportedly got in a cab and asked to be taken to Hendon Hall. Suspicious as to why a man speaking with a Scottish accent would ask to be taken to the place where the England players were staying, the driver enquired about the destination again. When Baker gave the same response, legend has it the driver called the police. So the Hibs striker found themselves trying to convince a sergeant that he was, in fact, playing for England and not some lunatic from north of the border intent in causing havoc at Hendon Hall. If some aspects of the tale might be apocryphal, they perfectly captured the surprise of seeing a player plying his trade in Scotland and sounding very much like a Scot playing for England. To this day, Baker remains the only player capped for England before kicking a ball in anger for an English club – he moved to Arsenal in 1962, having made his debut for the national side three years earlier. Amazingly, because of a loophole, Baker was allowed to represent Scotland at schoolboy level and, in 1960, at the age of 19, scored twice against England at Hampden Park. Back in Turin, Baker and Law began their foray in Italy in impressive fashion. The latter scored once and the former added a brace as Torino drew 3-3 at home to Vicenza in the second game of the season, before the former Manchester City striker added another three goals over the next four games. It was then Baker’s turn to steal the headlines, scoring the winning goal as Torino beat Juventus in the Derby della Mole. The two Scots combined again three days later, scoring all three goals in a win away against Udinese. Baker scored just twice in the next five games but the fact that he netted the winner on both occasions offset his diminishing return in front of goal. His form was dwindling, however, and he would have to wait two months for another goal, which would prove to be his last in a Torino shirt. If the lack of form on the pitch was a cause for concern, his life off it took a turn for the worse and spectacularly careered off course. While Baker had initially appreciated the spotlight Italians reserved for footballers, the novelty quickly wore off and the constant attention came to resemble the proverbial tunnel with no end in sight. It didn’t help the fact that while Baker had little time for the press, both he and Law – with whom, along with his brother Hugo, he shared an apartment in Turin – enjoyed a taste of the Dolce Vita the city had to offer. The duo’s fondness for a social drink and the media’s relentless intrusion made for a toxic cocktail that spilled over in Venice when Baker, exasperated by a stubborn paparazzo, sent him flying into a canal with a single punch. The gesture highlighted the striker’s fiery temper, and Torino were less than inclined to see the funny side of the incident, which cost them 700,000 lira. An already difficult situation took a tragic turn when Law and Baker hopped into the latter’s brand new Alfa Romeo in the early hours of a February morning in 1962. Baker had picked up his Giulietta Sprint on 7 February, and by the time it crashed into the Garibaldi monument on Via Cairoli at approximately 4am, it had just over 60 miles on the clock. While Law escaped unscathed, Baker, who was at the steering wheel of his Alfa Romeo, wasn’t as fortunate and had to spend a few weeks in hospital being fed by a drip after fracturing his palate and nasal septum. Over a month after the incident, Baker was eventually discharged but the time spent in hospital convinced him his Italian adventure had lasted long enough. Tired of the Brit’s antics – it was widely reported Baker went on a hunger strike after being forced to stay a hotel in the days before a game, which was commonplace among Italian clubs back then – Torino were all too happy to listen to offers. 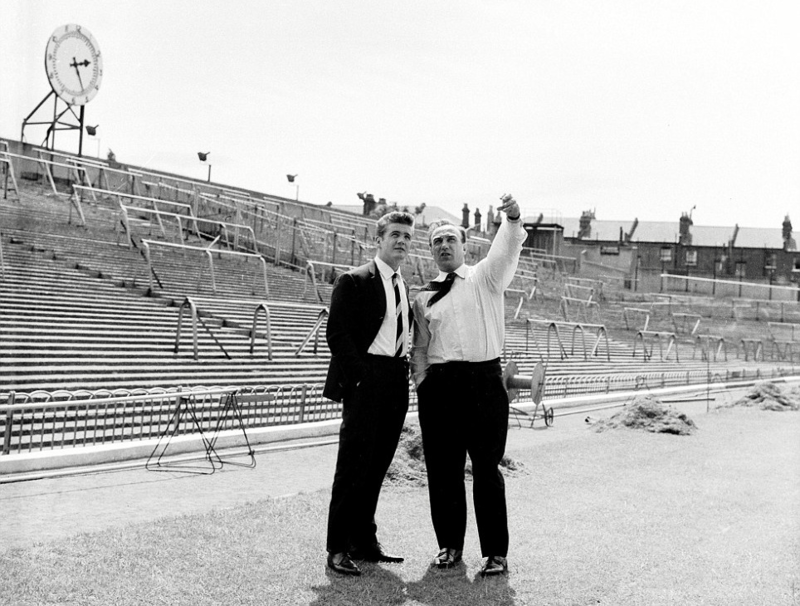 By July 1962, Arsenal’s £70,000 bid – then a club record for the Gunners – was accepted and Baker returned to Britain. Still only 22, he had his best days ahead of him and swiftly picked up where he had left with Hibs, scoring 100 goals in 156 appearances in all competitions. Despite his goalscoring exploits – he reached a century of goal for Arsenal faster than Thierry Henry and Robin Van Persie would do almost 50 years later – Baker never managed to force his way into the England team and only appeared eight times for the national team. Scotland’s loss wasn’t England’s gain. Despite finishing as top scorer in each of his four seasons at Highbury, Baker never finished higher than seventh in the First Division. In February 1966, he moved on again, this time to Nottingham Forest, where he scored 41 league goals in 118 appearances. By a strange twist of faith, during his spell at the City Ground, Forest finished second in the First Division to a Manchester United side who were propelled to the league title by Law’s goals. As was the case for Baker, the prospect of a bigger salary at a time when English clubs still enforced the maximum wage rule was had proved too tempting to resist for Law and had convinced him to move to Italy. The larger paycheck came with the added sweetener of playing in a league that could legitimately claim to be the best in the world. Gigi Peronace, the man who had engineered Charles’ move to Juventus, brokered both deals and Law followed Baker to Turin. 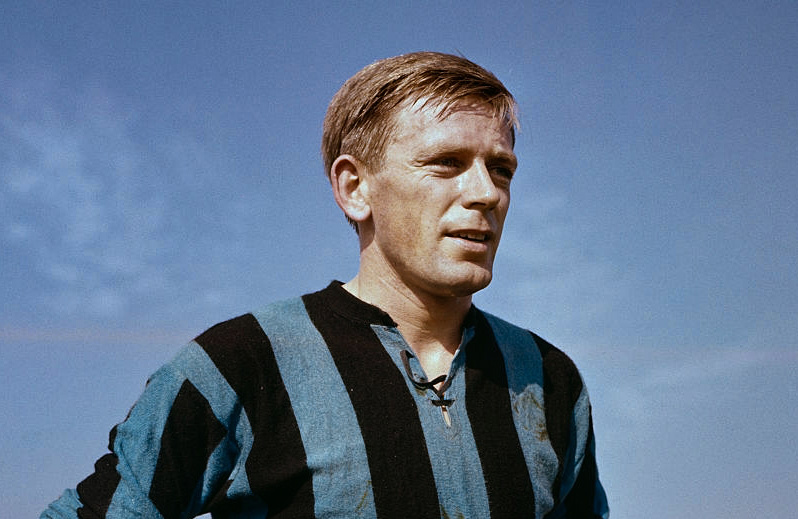 His spell in Serie A was more successful than his teammate’s – he scored a respectable 10 goals in 27 games – but two months after the crash he handed in a transfer request after growing disillusioned with life in Italy and the physical battering reserved for centre-forwards. Torino president Angelo Filippone then informed the Scotsman he had accepted an offer from Juventus, but Law wanted to ponder the move and returned to his native Aberdeen, where he was informed he had been named best foreign player in Italy ahead of Baker, Fiorentina winger Kurt Hamrin and Internazionale midfielder Luis Suárez. Law eventually opted against crossing the city divide in Turin – and almost certainly spared Filippone some very awkward moments in the process – but had no such qualms when he returned to Manchester in 1962. Five years later, he netted 23 goals in 36 games as United claimed a second title in three seasons. They would become the first English side to lift the European Cup a year later, when they beat Benfica 4-1 at Wembley. While the career of his former flatmate in Turin was laden with individual and team trophies, honours largely eluded Baker. It was almost as if, symbolically, relatively close until their move to Turin, his and Law’s career began diverging the very moment Baker’s Alfa Romeo crashed on that cold winter morning. As an injured Law watched on from the stands as United held the European Cup aloft, Baker’s stint at Forest was nearing its end. A move to Sunderland followed, before a second spell at Hibs preceded two seasons at Raith Rovers where, after scoring at an average of almost a goal per game, Baker would retire in 1974. In October 2003, Baker’s heart gave way while he was playing in a golf tournament in Scotland at the age of 63. 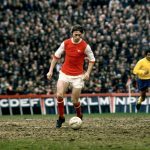 With 372 goals in 615 games he remains one of the most prolific and perhaps less celebrated strikers British football has seen over the last six decades.